For the fourth consecutive year, the Hawaii LGBT Legacy Foundation will host Rainbows Over Waikiki in celebration of Honolulu Pride™. Join an incredible project that you can be a part of year after year. Sponsor a Pride Banner in the Rainbows Over Waikiki project! 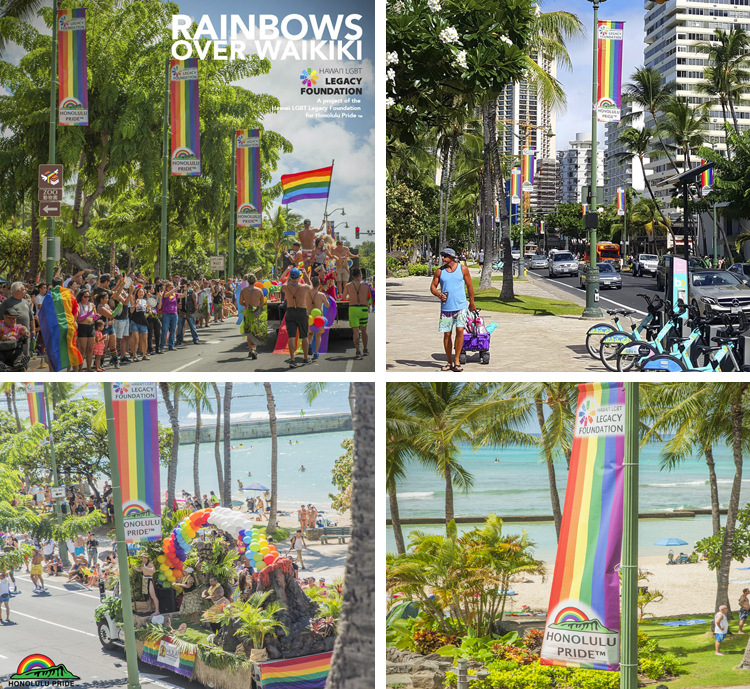 Rainbows Over Waikiki brings dozens of rainbow banners to Kalakaua Avenue in the heart of Waikiki, sharing LGBTQ aloha for two weeks leading up to the 2019 Honolulu Pride™ Parade + Festival on October 19. Sponsors of each Pride Banner will be recognized in the annual Honolulu Pride guide and for the year on the Honolulu Pride website. A tax deductible, donation of $300.00 per Pride Banner is all it takes to be a part of the Rainbows Over Waikiki project for 2019. 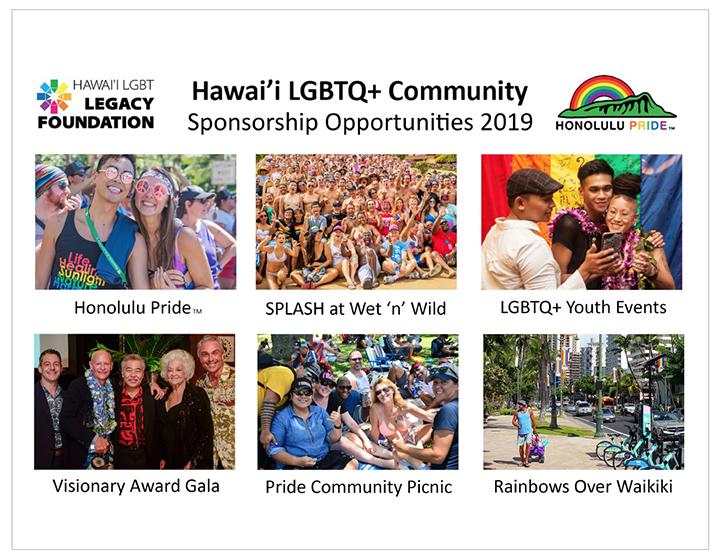 Sponsorship Deadline for 2019 Rainbows Over Waikiki is July 31, 2019 for inclusion in the 2019 Honolulu Pride Guide and October 1, 2019 for website recognition. It’s easy to become a part of Rainbows Over Waikiki right now. Just click HERE. The only difficult thing is deciding on how many Pride Banners you want to sponsor! Thank you to all our early supporters who have already sponsored one or more banners for 2019 Rainbows Over Waikiki.